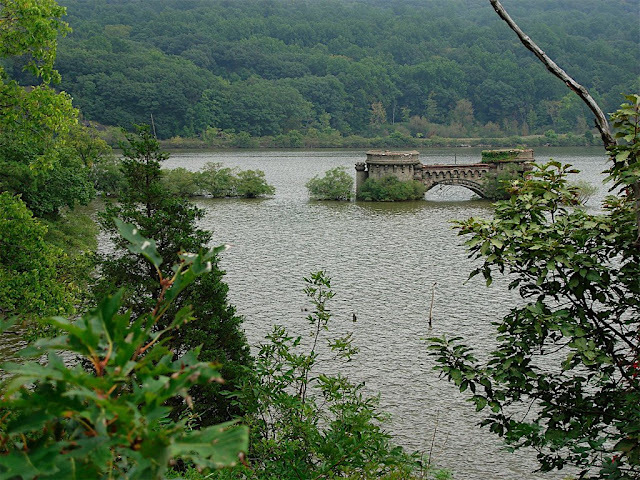 Pollepel Island is an island in the Hudson River. 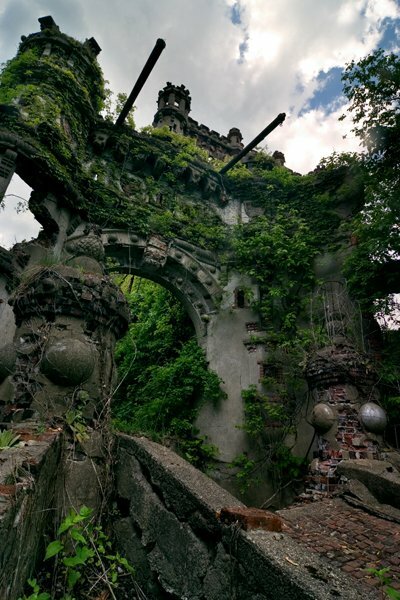 Also known as Pollopel Island, Pollopel's Island and Bannerman Island, it is the site of Bannerman's Castle. 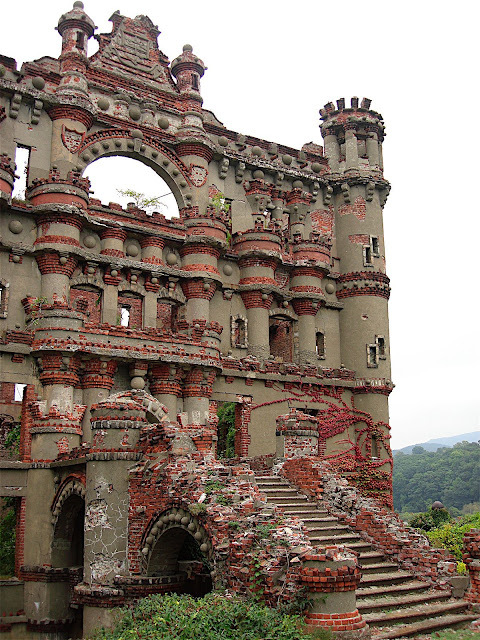 The principal feature on the island is Bannerman's Castle, an abandoned military surplus warehouse. It was built in the style of a castle by businessman Francis Bannerman VI (1851–1918). 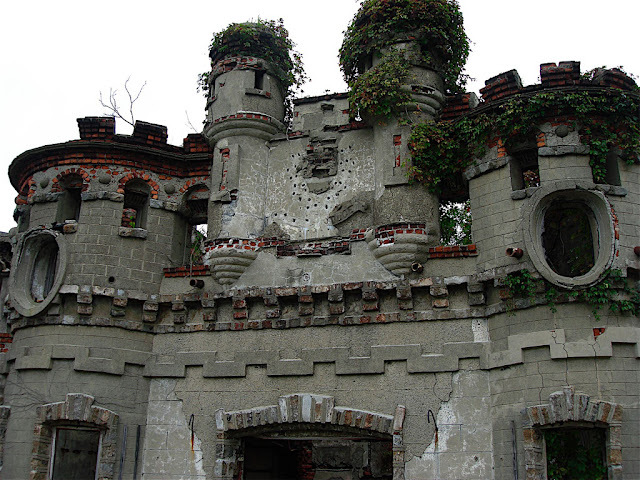 It remains one of a very small number of structures in the United States which can properly be called a castle. 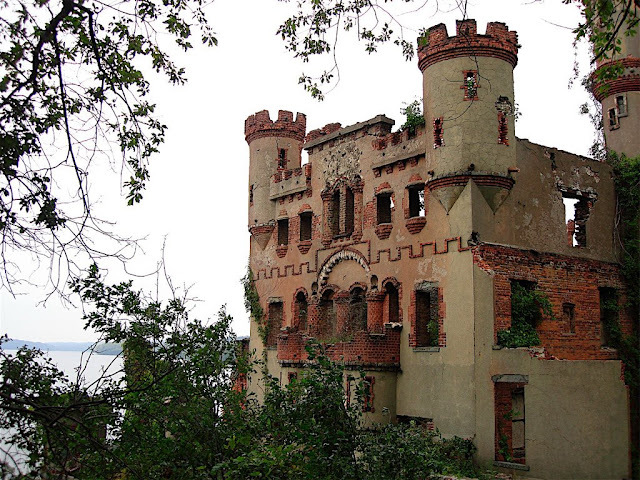 Pollepel Island is sometimes referred to as Bannerman's Island. Francis Bannerman VI purchased the island in 1900 for use as a storage facility for his growing surplus business. After the Spanish-American War Bannerman bought 90% of the US army surplus, including a large quantity of ammunition. Because his storeroom in New York City was not large enough, and to provide a safe location to store munitions, in the spring of 1901 he began to build an arsenal on Pollepel. Bannerman designed the buildings himself and let the constructors interpret the designs on their own. 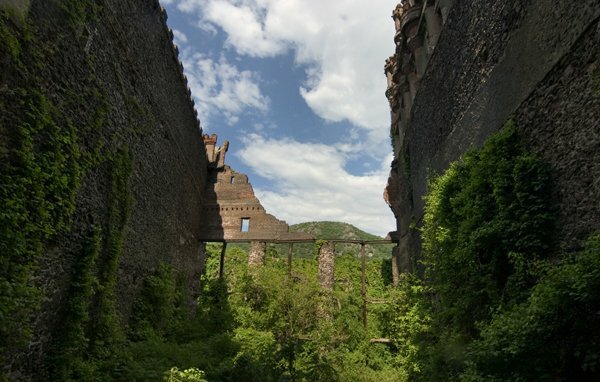 Most of the building were devoted to the stores of army surplus but Bannerman built another castle in a smaller scale on top of the island near the main structure as a residence, often using items from his surplus collection for decorative touches. 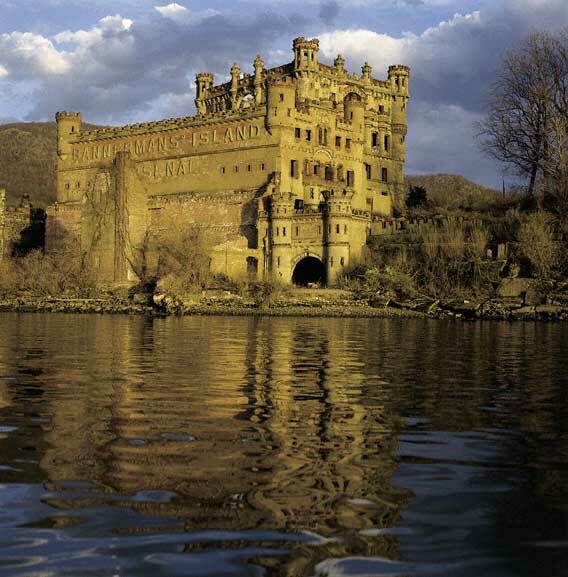 The castle, clearly visible from the shore of the river, served as a giant advertisement for his business. On the side of the castle facing the eastern bank of the Hudson, Bannerman cast the legend "Bannerman's Island Arsenal" into the wall. Construction ceased at Bannerman's death in 1918. In August 1920, 200 pounds of shells and powder exploded in an ancillary structure, destroying a portion of the complex. After the sinking of the ferryboat Pollepel, which had served the island, in a storm in 1950, the Arsenal and island were essentially left vacant. The island and buildings were bought by New York State in 1967, after the old military merchandise had been removed, and tours of the island were given in 1968. However, on August 8, 1969, fire devastated the Arsenal, and the roofs and floors were destroyed. The island was placed off-limits to the public. 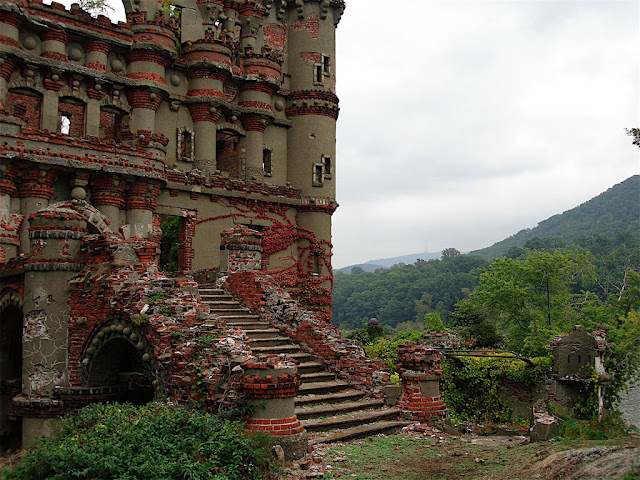 The castle today Today, the castle is property of the New York State Office of Parks, Recreation and Historic Preservation and is mostly in ruins. While the exterior walls still stand, all the internal floors and non-structural walls have since burned down. The island has been the victim of vandalism, trespass, neglect and decay. Several old bulkheads and causeways that submerge at high tide present a serious navigational hazard. Its not in New Jersey. Its actually in New York a few miles north of West Point. You're absolutely right. It's in New York, my mistake.